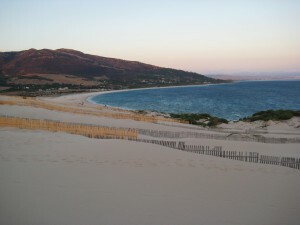 Tarifa became famous in the 80s to be the Mecca of windsurfing in Europe, is located in the southernmost point of Spain, ever since she can even see the African coast. The east and west winds which are enhanced by its location in the Strait of Gibraltar made ​​it famous worldwide. It has miles of white sand with the easterly winds that will form dunes and also has a great atmosphere, both day and night, something that can not presume the majority of spots. 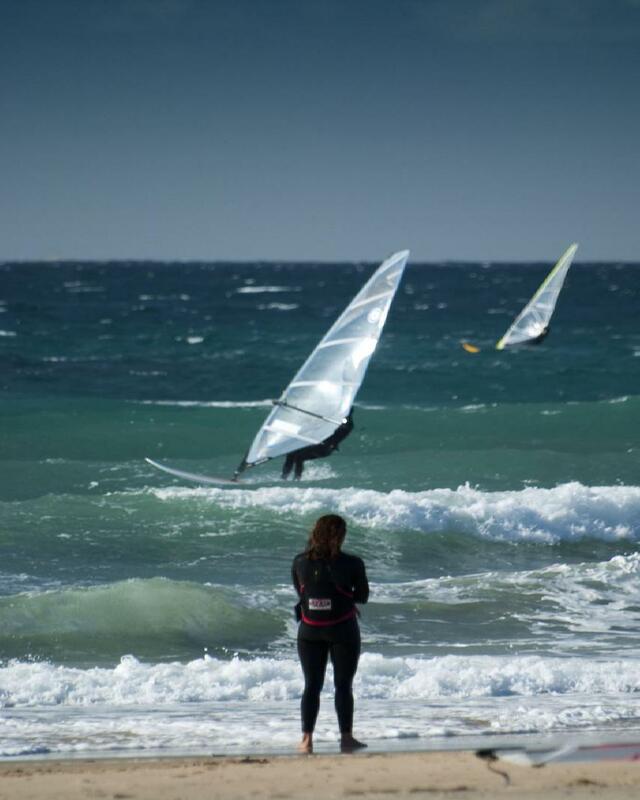 Tarifa has many spots around, is suitable for all of levels, even to start because it has many schools, and if we want to move on our own, we will move depending on the wind that is blowing , west or east. The Poniente thats blows of the west wind is usually approximately 14 to 22 knots and brings down the temperature a bit. Unlike the east when blows are some small and some choppy waves. The Levante that blows of east of this comes from Africa and it is quite warm. Is usually stronger than the west, from 20 knots. 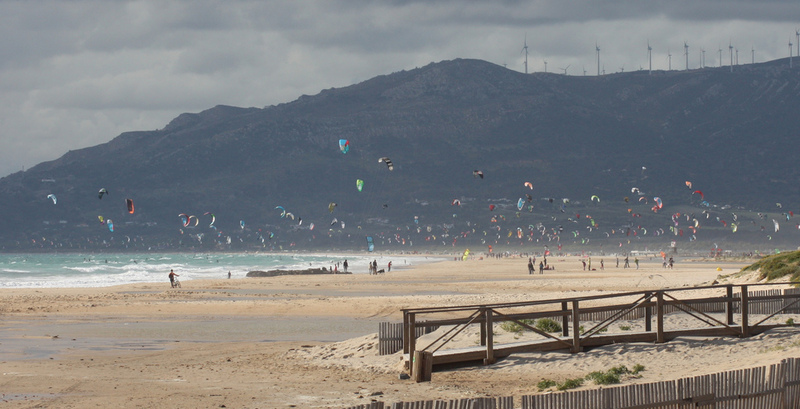 Los Lances beach is the closest to Tarifa, where we practice kitesurfing, is one of the best places to enter Levante but is completely ground in summer so schools use boats to rescue their students, the West is a little looser in this area. 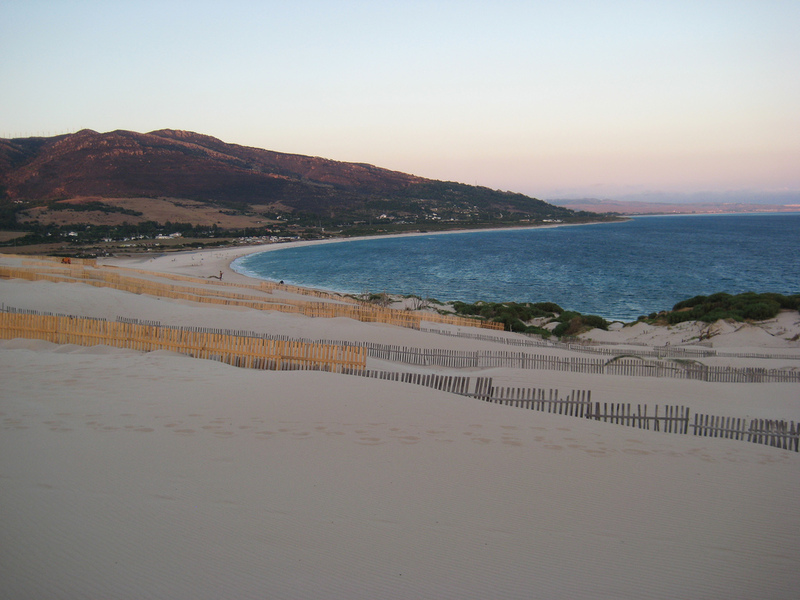 If we move a little further down the beach Tarifa Los Lances, found the area that name hotels, Arte y vida, dos mares, where the West works best and in summer there are so many schools teaching their students. If we continue to advance found the camping area and the hotel torrelapeña hurricane, here is a little desventado lift but the setting works better than anywhere else, the only drawback we found is that access is a little difficult to be somewhat area rocky. here we find the club mistral and spin out, hire centers first level also have bars next to the spin out (brawl) or the same club mistral, with the best rate environment. The Levante works perfectly and west pretty well, in the summer, maybe a little crowded for those who want exclusivity. But if what you want is a beach where we could park your girlfriend or family while surfing, you will not find a better place than this. If we continue in the direction of Cadiz, find the spots of Bologna and Canos de Mecca that work well when you carry a strong blowing up several days, this is where the surf lovers find their favorite spots as the rest, you can say that tends to be fairly flat or with some choppy. For the area of Tarifa, we can see that throughout the year we have a pretty good wind statistics, but we can say that from November to October would be the times of less wind, we could find something else against wave. Quality of life in Spain. According to the list of countries by Human Development Index included in the 2013 Human Development Report of the United Nations Program for Development (UNDP), Spain is situated within index countries with very high human development in 23rd. The best thing is to take a look at the map of airports in Spain.